Goa is Known as the land of Sun, Sand and the Beaches and the beaches of Goa are brimming with people from across the world who fell in love with this place. Nowadays finding a quiet spot on the beach sipping beer is a dream long lost. But before letting go of your dream take a look at the following list and see if any of them have felt your footprint recently. The chances are you haven’t even heard of all these places! These are some of the lesser known Beaches in Goa, hiding away from the mob, whispering with the gentle waves caressing them. Set out on a journey to explore these places and enjoy the peace and calm of this lost (until now) beaches and be the one who’s been there before everyone. 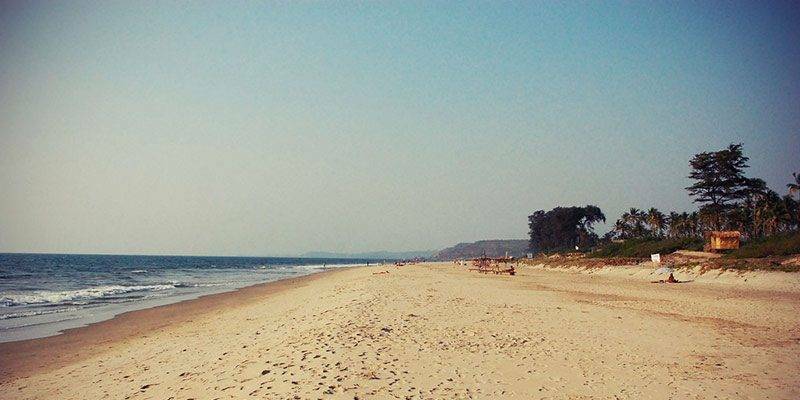 The Kakolem Beach, also known as The Tiger Beach, is an extremely isolated stretch of beach in Goa. 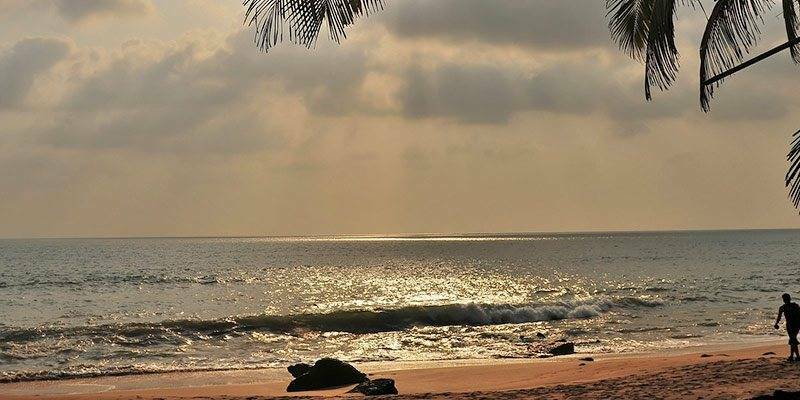 Mostly a rocky beach dotted here and there with warm stretches of sand, the Kakolem Beach is set against the backdrop of dense forests and rocky mountains. A series of steep steps lead visitors from the road above to the beach below. The beach can also be reached via sea. I would suggest visitors take a boat to the Kakolem beach. The ride across the paradisiacal blue waters is magical! Also, I would discourage tourists from venturing out into the ocean alone at the Kakolem Beach since there are no Rescue Services available here, and the current of the water is very strong. Nevertheless, this beach is apt for picnicking and the hills and mountains behind the beach make for an excellent trekking route. The Galgibaga Beach, also called ‘Turtle Beach,’ is one of three beaches in Goa where the majestic Olive Ridley Sea Turtles come to nest. 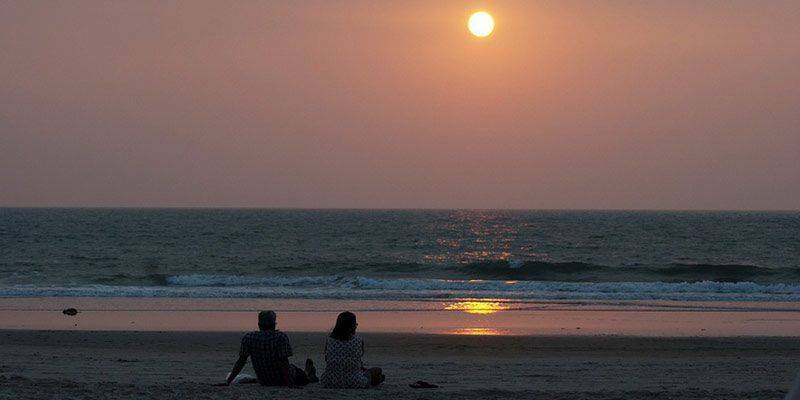 The Galgibaga Beach is perfect for couples or families looking to get away from Goa’s hustle and bustle. 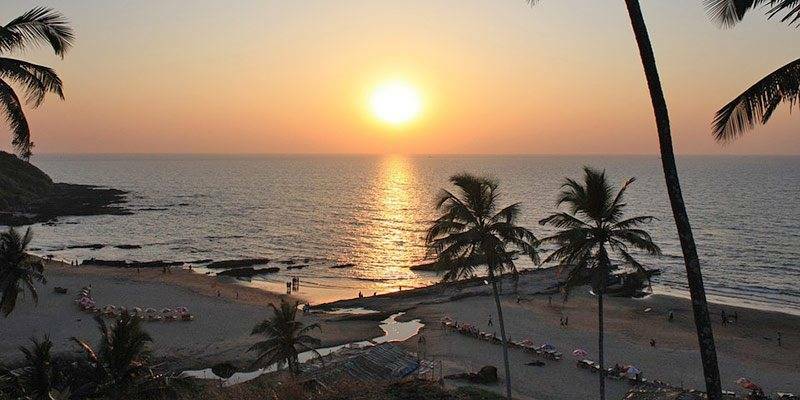 This beach guarantees tourists a calm, serene environment in which to sunbathe, swim or just soak their feet in the tender Arabian Sea’s waters. Visitors can come to the beach by the road, or by the sea in a ferry. 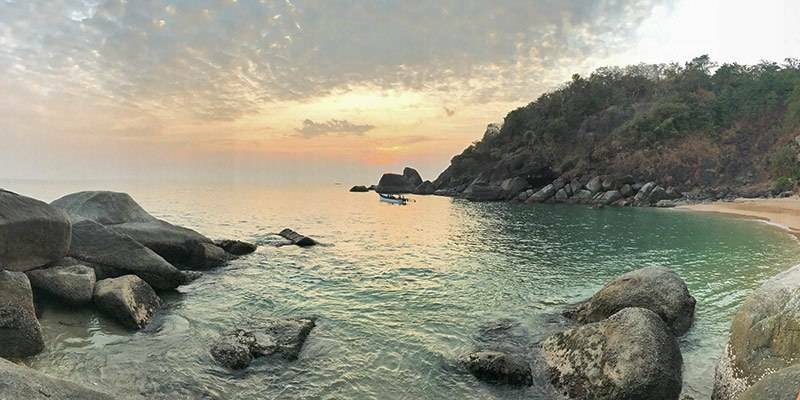 The Hollant Beach is located right at the feet of the Western Ghats and is the only beach in the entire state from which tourists are able to witness the beautiful sunrise. 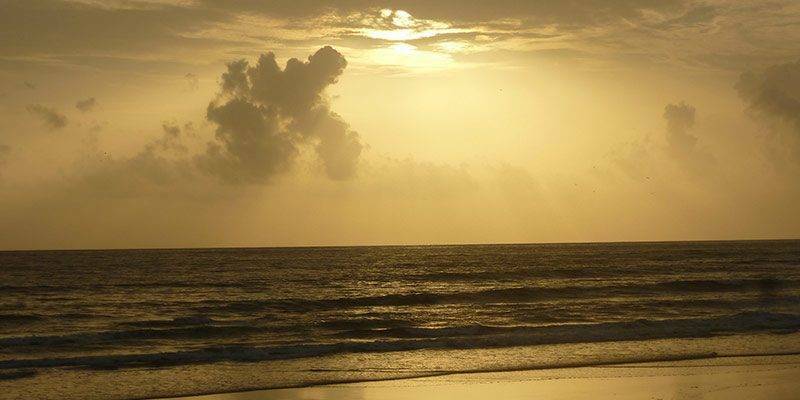 Seeing the sun rise from below the horizon and bathe the entire beach in a rich, yellow light, is truly captivating! The waters on this beach are relatively shallow. So, tourists can enjoy a nice, long swim in the sea, safely. There are a couple of small restaurant shacks on the beach, perfect for a delicious sea-side lunch. The spicy Goan fish curry is a delicacy here, so I would recommend tourists to try that out. This beach is easily accessible by road. There are a handful of guest houses and villas on rent nearby, but I would recommend tourists find hotels in the main city to stay in. Overlooking the wide, blue Arabian Sea on one side and lush green forest vegetation on the other, the Canaguinim Beach is a relatively isolated, long stretch of sandy and a less known beach. The beach is divided into two parts: the North Canaguinim Beach, which is mostly sandy and perfect for beach-based activities like swimming and camping and the South Canaguinim Beach which is mostly rocky and perfect for walking or quietly picnicking. There are watchtowers on the beach so tourists are absolutely safe if they wish to take a dip in the cool, crisp sea waters. There is no accommodation nearby. I would suggest tourists rent a room in the nearby village if they wish to stay the night. The beach can be reached via sea or road. For the more adventurous travellers, I recommend taking a motorboat to the beach, but tourists can also avail of regular taxis. 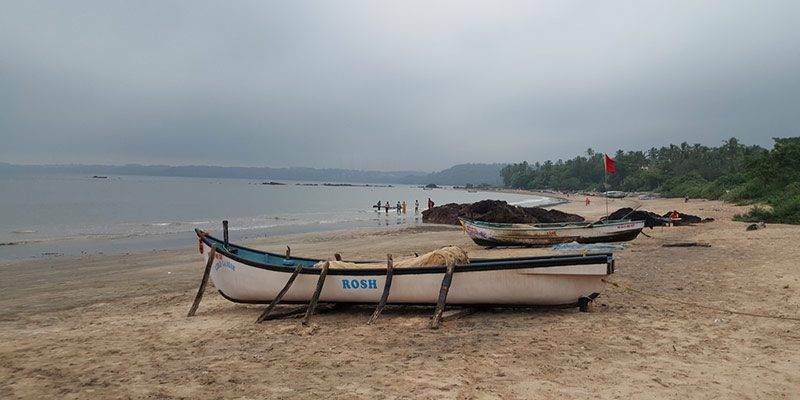 One of Goa’s most isolated beaches, the Cola Beach guarantees visitors complete tranquillity and solitude. The beach has been kept relatively clean, too. 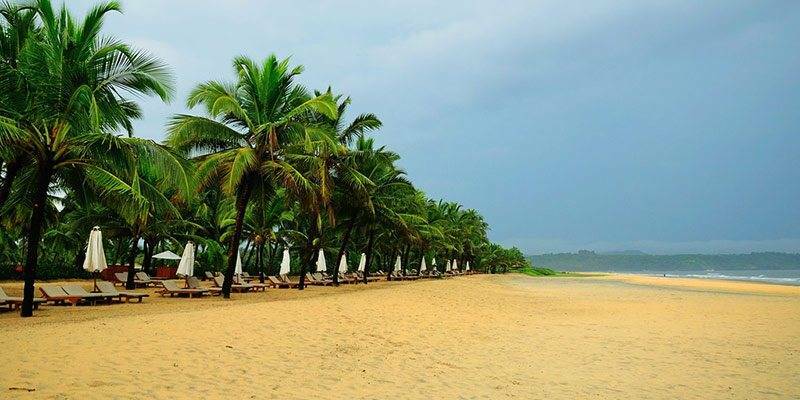 The gentle sea breeze and the cool, shady palm trees lining the beach will sure rejuvenate every visitor’s senses. There are no hotels nearby, but camping out in tents on the beach is an adventure in itself here. The ‘Blue Lagoon,’ and the ‘Dwarka Goa,’ organizers provide tents complete with a small bathroom and veranda space. They also have a restaurant from which campers can order a variety of authentic Goan food. This beach is not well connected to the main roads. There are no buses that come to this beach. 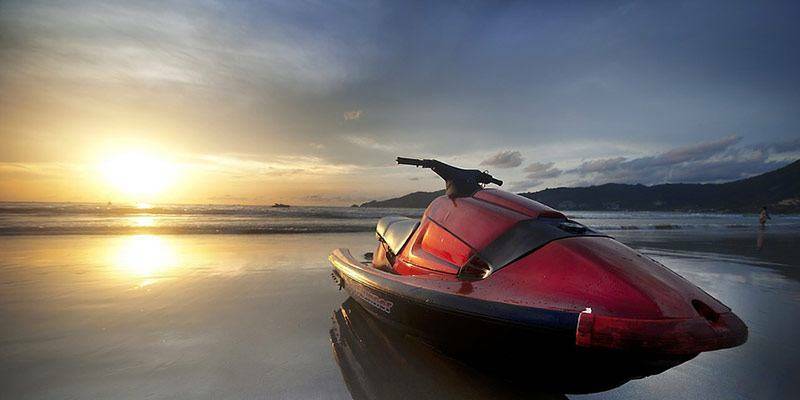 Most people need to use private transport to reach the beach, but the most convenient way to reach the Cola Beach is to rent a two-wheeler and drive down here. The relatively isolated Velsao Beach is a long stretch of silvery, sandy beach. The view of the sunset from here is breathtaking! Visitors can sit in one of the many restaurant shacks that line the beach and enjoy a hot, spicy Gaonese meal. Alternatively, travellers can pack a small picnic lunch and rest under the cool shade of the coconut trees that line the coast. The beach is filled with bright sea-shells and lucky tourists might even spot a starfish! The more adventurous travellers can participate in one of the beach’s many water-based activities, too. This beach is definitely not for those who like to be at the centre of hustle and bustle. For travellers wishing to stay overnight, I would suggest booking a room in the nearby towns’ hotels, as there are very little accommodation options in or around the beach. 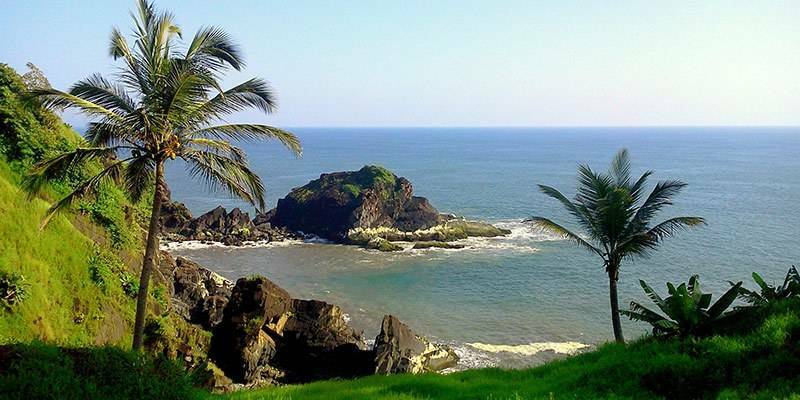 Considered to be one of the most scenic beaches in Goa, the Cabo de Rama beach is tucked in between the bright, blue sea on one side and the dense, green forests on the other. There is a high cliff overlooking the less known beach, too. 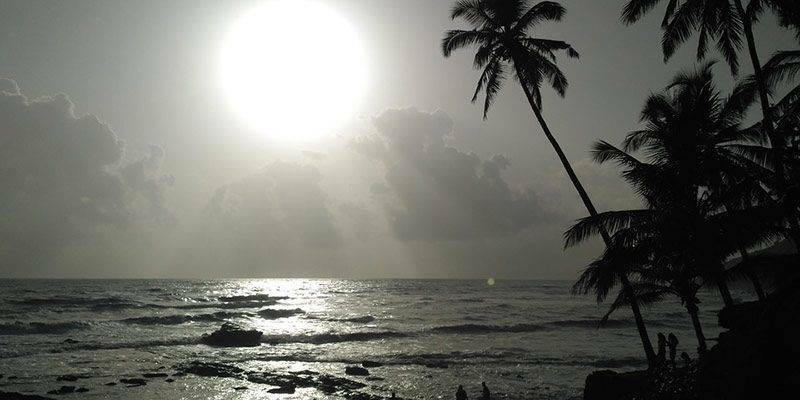 A very popular destination for the local Goanese people looking to escape the city’s heat and congestion, the Cabo de Rama Beach is lined with tall, shady palm trees, perfect to have picnics under. A small river trickles along the northern side of the beach, near the large black boulders that lie stranded on the warm, yellow sand. The sea is filled with sharp reefs. I would not recommend swimming here since there are no coastal guards and the currents can be very high at times. The beach is quite secluded. There are no restaurants nearby so I suggest visitors pack their own lunch, too. 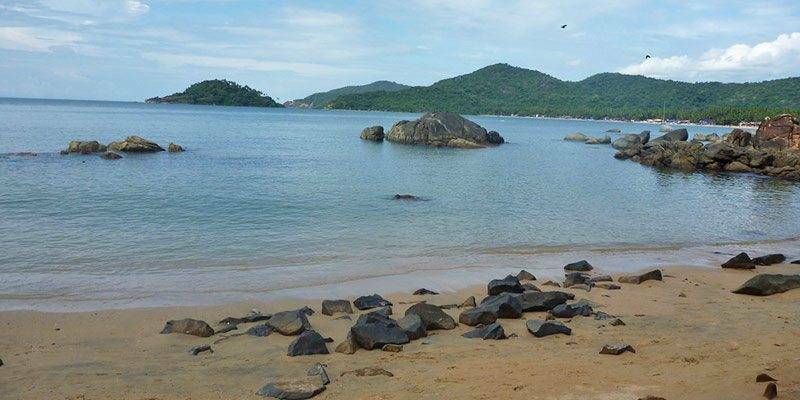 The Bogmalo Beach is relatively isolated but it is one of the best places to visit for those travellers looking to escape the city’s crowd. There are innumerable restaurant shacks lining the beach, serving delicious authentic Goanese food, at very reasonable prices. Plus, the beach is very well maintained and relatively safe for swimming. The high waves, the warm sand and the beautiful sea breeze will definitely relax and rejuvenate any weary traveller. There is a hotel nearby so I would suggest staying there overnight. 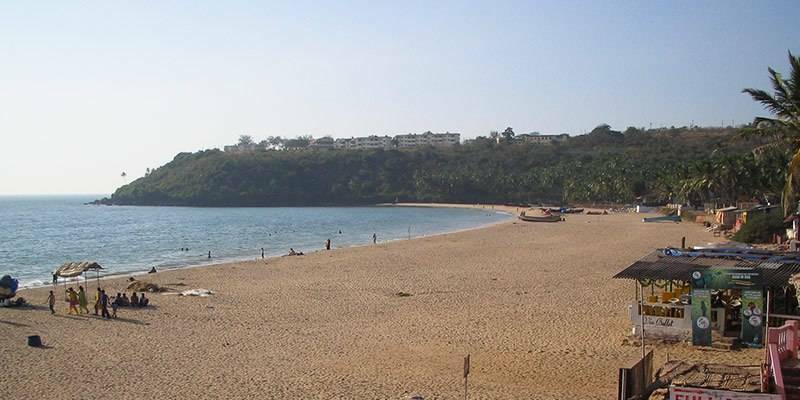 However, the Bogmalo Beach is one of the lesser known beaches in Goa. Personally, I feel there are more serene, more scenic beaches in Goa for those people who are looking to enjoy the sea in peace and solitude. The Bogmalo Beach is perfect for a short day trip, but I would not suggest allocating an entire day to visiting this beach. The Mandrem Beach is very well connected to the main city. It can be reached on a boat or in a cab. Calm and quiet, this secluded stretch of white, sandy beach is perfect for honeymooners. A plethora of sea-side restaurants, serving all kinds of meals, line the beach. Swimming in the sea here is quite safe, too and visitors are ensured full privacy and solitude as they enjoy a long, cool dip in the sparkling, blue waters. There are many beachside vendors selling interesting mementoes, so make sure to pick something up from them to remember this visit. Tourists can a book a room in one of the many hotels near the beach for the night. Also, I would recommend tourists try some nice, fried fish with a large glass of iced-drink available in any of the beach-side shacks here, on top of their visit to the Mandrem Beach. The Butterfly Beach, a small stretch of warm, white sandy land, is set against the backdrop of tall, green mountains. The water is transparent. 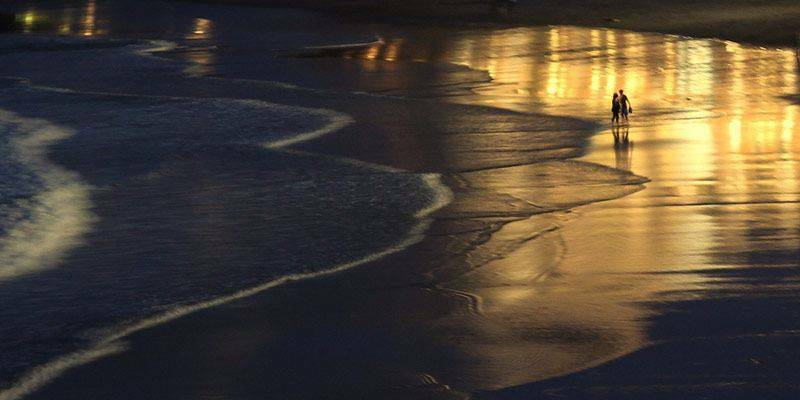 The gentle waves and the cool sea breeze are sure to leave visitors in awe. The rich, opulent natural landscape is home to an unimaginable variety of butterflies, hence the name of the beach! However, the beach is not easily accessible via road. The area nearby is heavily forested, and the terrain to the beach is steep and riddled with sharp cliffs and narrow rivers. However, the more adventurous travellers can trek through the forest to reach the Butterfly Beach. 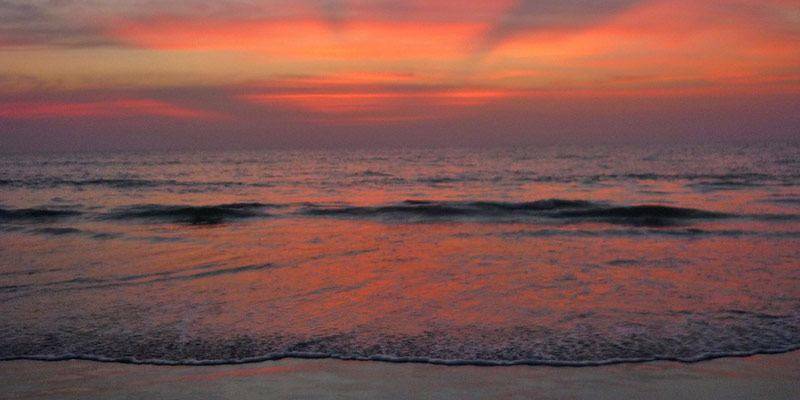 However, I would suggest tourists take a boat from Palolem Beach nearby to the Butterfly Beach. Tourists will find the boat ride up to Butterfly Beach truly refreshing in the early morning time. Also, stay a while and watch the sunset from here. It is magical. The Mobor Beach is an extension of the Cavelossim Beach. The Mobor Beach is quite crowded and relatively noisy because it is a hub for parties and other social events. There are two, large luxury hotels and many busy casinos nearby too, to entertain visitors to the beach. There are some cheaper shacks lining the beach, too. The Sal River surrounds the beach on almost all sides adding to the scenery of the Mobor Beach. Small bay areas are perfect for sunbathing and small ponds and palm trees on the beach make for a perfect picnic spot. This beach is perfect for those who enjoy the general hustle and bustle of tourists and local crowds. I would suggest tourists rent out umbrellas or deck-chairs and spend the entire day out on the beach. I recommend the more adventurous travellers try out some of the beachside activities like biking or fishing. There aren’t many hotels in the region. I would recommend tourists don’t make plans to stay the night here. Also, it isn’t a very busy beach and with not many sightseeing options, I feel visitors might be easily bored after a couple of hours on this beach. So, I would not suggest allocating an entire day to visiting the Siridao Beach. The Colomb Beach, a rich, golden coloured sandy stretch of land, is perfect for families looking for a quiet, cosy getaway to the seaside. There isn’t a lot of greenery around, but the cool shade of the tall palm trees will surely offer visitors respite from the sweltering summer heat. The water is relatively shallow here, perfect for a nice, long, safe swim. The beach is lined with innumerable restaurants, all specializing in spicy, delicious Indian cuisine. The Pandava’s drum, a unique rock named after the Mahabharata heroes, is the only other attraction on this beach. There are quite a few hotels on the beach, so I suggest visitors avail of those if they wish to stay the night here. Although most people reach the Colomb Beach on a boat or on road, I would recommend the more adventurous tourists trek here from the nearby beaches. Both, this beach and the village near it got their names from the Talpona River which flows close to here. A relatively wide and long stretch of bright, yellow sand, the entire beach is dotted with magnificent palm and pine trees. Seashells are to be found in abundance here, strewn across the beach! The beach opens up to the beautiful, placid Arabian sea. Although the Talpona Beach is mostly always deserted, there are rescue towers on the beach, so visitors feel safe as they take a dip in the cool, crisp waters. There are a couple of restaurants lining the beach, serving decent food, at reasonable prices. There is a hotel nearby. However, I would not suggest spending the night here. Apart from the sea, there aren’t any other attractions nearby and so there is no need to allocate an entire day to visiting the Talpona Beach. North of the Betalbatim Beach, the Lovers Beach, a clean sandy stretch of land, is perfect for honeymooners or couples looking for a nice, quiet seaside spot to spend a romantic evening in. Tall pine trees line the coast, making the beach setting even more romantic and delightful. A nice stroll on the beach, hand in hand, with the gentle cool sea breeze brushing against your face is quite romantic. However, the beach can only be reached via private transport. This beach is not frequented by many tourists. I would suggest only couples visit this beach. It is not the ideal place to have a family vacation in. For couples, I would recommend coming to this beach in the evening time, to watch the glorious sunset. There are no restaurants or hotels on this beach, so I suggest visitors don’t make plans to stay the night here.